You are currently browsing the tag archive for the ‘Stanley Ann Dunham’ tag. The 44th President of the United States is, of course, Barack Hussein Obama II. Barack Hussein Obama II has also been known by names such as Barry Soetoro, Barry Obama, and Barack Hussein Obama (Soebarkah). To be sure, only supposed madmen note that the name “Soebarkah” originated in very tight spatiotemporal proximity to the operations of a cult called “Subud” that was founded by a Muslim named Mohammad Subuh — a cult wherein personal name changes were the order of the day. So doesn’t the picture of one of Frank Marshall Davis’ sons look just like former WH aide BILL BURTON??!! PS: None of this is “new”, it just wasn’t followed in 2008. Anyone who has a car knows that it has a 17 digit vehicle identification number, on the dashboard, the inside of the driver door, and then in numerous hidden places. This number tells everything you may want to know about the vehicle. For instance, the frst didgit or letter tells you where the car was manufactured ( 1= United States. 2= Canada, J= Japan, and so forth). The tenth digit will tell you what year it was maufactured (S= 1995, B= 1981, 1= 2001, 5= 2005, 9= 2009). Other places will say what color it is, or the engine type, etc. Now, we all know that the important identification number to our “person” is our social security number. Just like the vehicle identification number, the social security number carries a wealth of information. Of primary importance here for discussion is the first five digits and what they represent. Basically, they indicate where and what time period the Social Security number was issued to the individual. For a basic review of the SSN: http://people.howstuffworks.com/social-security-number2.htm . SSNs are not assigned consecutively; the first was not the lowest number, and the most recent is not the highest. They are assigned regionally and in batches.The nine-digit SSN, which has been issued in more than 400 million different sequences, is divided into three parts: area numbers, group numbers and serial numbers. –>The numbers on your Social Security card actually mean something! Area numbers – The first three numbers originally represented the state in which a person first applied for a Social Security card. Numbers started in the northeast and moved westward. This meant that people on the east coast had the lowest numbers and those on the west coast had the highest. Since 1972, the SSA has assigned numbers and issued cards based on the ZIP code in the mailing address provided on the original application form. Since the applicant’s mailing address doesn’t have to be the same as his residence, his area number doesn’t necessarily represent the state in which he resides. For many of us who received our SSNs as infants, the area number indicates the state we were born in. You can find out which area numbers go with each state at SSA.gov: Social Security Number Allocations. Serial numbers – Within each group designation, serial numbers — the last four digits in an SSN — run consecutively from 0001 through 9999. Although SSNs are issued in some order, there is no simple way to tell a person’s age based on his Social Security number. Did you try it? Is it accurate as to about where and when your SSN was issued? I did mine, the children, my mother’s , and my wife’s….. all are accurate as to where and when they were issued. Do you want to try a little further? Stanley Ann Dunham’s SSN begins 535-40. Here is her SSN application. 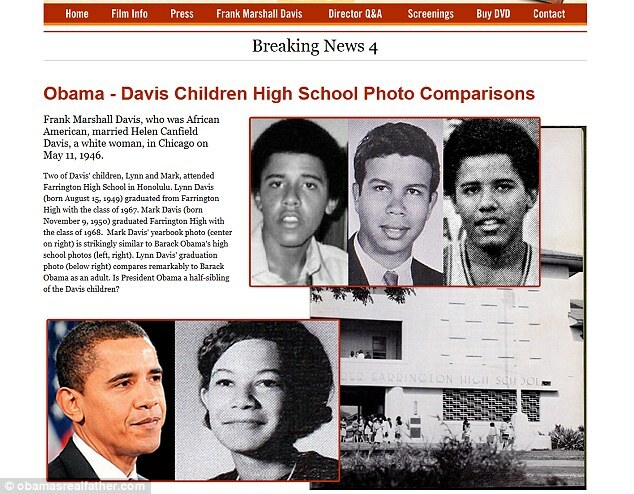 http://webofdeception.com/obamamother’sssapplication.html Did you get Washington State 1959-1960 as the result? OK…….. let’s check out President Elect Barack H. Obama II. According to several sites, his SSN begins 042-68-xxxx. If you tried it, is this the result you got: 042-68: Connecticut, 1976-1977 ?? Any thoughts? Haven’t seen Connecticut as a part of the Obama biography. SAN FRANCISCO (AP) — The so-called birther movement was dealt another legal blow Thursday when a federal appeals court tossed out a lawsuit challenging President Barack Obama’s U.S. citizenship and his eligibility to serve as commander in chief. The 9th U.S. Circuit Court of Appeals ruled that none of the challengers had legal standing to file the lawsuit on Jan. 20, 2009, the day Obama was inaugurated. The three-judge panel cited various reasons for disqualifying six sets of plaintiffs, who included Obama’s political rivals, taxpayers and military personnel. The birther movement has filed multiple lawsuits over the issue, so far with no success. Its leaders have lost similar challenges before the U.S. Supreme Court and the California Supreme Court. The U.S. Constitution says only “a natural born citizen” may serve as president. The challengers allege that Obama, whose father was Kenyan, was born in that African country, rather than the U.S. state of Hawaii. They claim his Hawaii birth certificate is a forgery. The appeals court didn’t address the authenticity of the birth certificate, instead ruling that the challengers couldn’t show “concrete injury” from the allegations. Barack. H. Obama II would not be the first high-profile person whose ancestry had dubious characters in it. In today’s Internet age, he certainly won’t be the last. Having released his long-form Hawaiian birth certificate, which he has fought hard to keep under wraps, Obama has tried to lay that part of his hidden past behind him. From all indications, under the premise that the birth certificate is accurate, Barack Obama is listed as having been born in Hawaii on August 4, 1961 to a father of British citizenship and a mother who was an American, giving the child dual citizenship status. That would move any question of his eligibility to be President into the legal interpretation of “Natural Born Citizen”, and the intentions of the Founding Fathers in that regard. Of course, as with any legal question, the experts are split. So the experts can debate the validity of the long form birth certificate. Support for it validity can be found in one of the unscrubbed Obama records trails. As mentioned in an earlier post, the Boston Globe had requested in a FOIA request the immigration files on Obama’s father. The Globe, one of the Kool-aid drinking media, actually had the files in 2009, and could have helped dispel the birth certificate issue then. But, given the manner in which the present day media annointed Barack Obama to the Presidency and have done whatever necessary to protect and defend him (especially as his lack of leadership skills has become clearly evident, i.e. The Empty Suit), it is no surprise that they were not revealed until just recently. The 55 pages of documents make for some interesting reading. What is gleaned from the files is that Obama Sr. was a womanizer and a bigamist, if not a polygamist. The government had received several calls of concern from a parent whose daughter wanted to go back to Kenya to marry him after he left Harvard. Stanley Ann Dunham and Barack Obama were purported to be married on February 2, 1961. (No marriage record has yet been found, but given divorce papers a few years later, it can be presumed that the record exists somewhere). Baby Obama is notated on some of the forms filled out by Barack Sr., and left blank on others. There is support for the reports that Stanley Ann Dunham had planned to (and likely did) attend the University of Washington the semester after Obama’s birth, as there is a note in the file that indicated that Stanley Ann (and child) resided with her parents in Hawaii, and Obama Sr. resided elsewhere in Honolulu. Barack Obama (II) was born on August 4, 1961, and Obama Sr’s Student VISA stay expired on August 9, 1961. He applied for his extension on August 31, 1961, and was granted a stay through August 9, 1962. All in all, the file makes for interesting reading in some places. But it begs the question, in light of Obama’s “Dreams of His Father“, who was Obama really writing about, or, if the book was in fact written by someone like Bill Ayers, as has been suggested, what was the purpose of book at all. If Obama wants to cast the story of his American tapestry, his non-existent father should only be a blip on the screen. How his mother raised him and influenced him until she shipped him back to the States to his grandparents?…. that is the fabric of his story. The role as the father figure in his early years that Lolo Soetoro had… that is a part of the hemming. The grounding that Toots Dunham gave him, and the influence of Grandpa Dunham and his associations with the likes of Frank Marshall Davis……….. these sew the fabric together, providing the insight into his later decisions, like sitting in Jeremiah Wright’s church for 20 years as he spread his venomous vitriole. The bigger question then becomes, how does all of this early influence affect the decisions that he makes today? This is a question that only history will be able to provide the answer, after the American public has suffered because of it, IMHO. In an effort to answer some of the charges being vocalized by the likes of Donald Trump, the White House this morning has shown the White House Press Corps a document which from all appearances purports to be the long form version of a Hawaiian birth certificate. The President is to speak on the birth certificate issue shortly, an issue he has addressed primarily in condescending joking fashion, and rarely at all. That task is usually left to his minions. Will this document put the matter to rest, once and for all? What will the President say about the issue? Is this a wise move on the part of the White House? UPDATE: The POTUS says that we have no time for this silliness!! As our economy continues on its freefall, focus seems to be on the movement to end this “Present Error” on that first Tuesday in November 2012. Today, Mississippi Gov. Haley Barbour announced that he does not presently have that full commitment that would be required to mount a Presidential campaign, and despite the support that he would have from his family, he will not seek the White House in 2012. But even as Barbour made sure we knew he was not entering the 2012 Presidential race, word came from the camp of Rep. Ron Paul that he will announce in Des Moines, Iowa tomorrow the formation of an exploratory committee for a 2012 Presidential race. Further, now that Barbour has made his plans official, Indiana Gov. Mitch Daniels’ name began circulating again. Daniels had said he would not run if Barbour was running, so with Barbour out, Daniels may be in play again. However, after more than two years with a POTUS whose Muslim ties have been a source of constant questioning, Daniels’ Syrian lineage may give him some issues. And lastly, the son of legendary evangelist Rev. Billy Graham, Franklin Graham threw his words into the Obama birth certificate controversy, telling Christiana Amampour that he figures you can even find out what hospital room Ruth Graham was in when she gave birth to him, so why can’t Obama produce a better document than what hs campaign keeps presenting. White House spokesman Jay Carney criticized Graham for the comments on “Easter Sunday”. Seems like the subject must be hitting some nerves, with more high profile people openly discussing the issue. In correspondence with Kincaid, available at usasurvival.org, the FBI says the file was destroyed in 1997. The FBI made the admission after Kincaid complied with a request to verify the identity of Dunham and the fact that he was deceased. Dubbed “Gramps” by Obama, Dunham has been depicted in news reports as a patriot who served in the U.S. Army in World War II . But he had a close relationship with Communist Party USA (CPUSA) member Frank Marshall Davis in Hawaii, who reportedly drank and smoke pot with Dunham.…. Gov. Abercrombie: “Little Barry, That’s What We called Him”= Story Not Adding Up! For reasons clear to no one just yet, Hawaii’s new Democrat governor, Neil Abercrombie, has gone public with his desire to silence the so-called “birthers” with proof of Barack Obama’s Hawaiian birth. Although the major media have questioned why Abercrombie would raise an issue that, according to the Los Angeles Times, “most people see as resolved,” they take Abercrombie at his word as to what he knows about the young Obama family. They shouldn’t. Abercrombie’s boasts about his relationship with the president’s presumed parents, Barack Obama, Sr. and Ann Dunham, have got to unnerve the president and his close advisors. They know something the media perversely choose not to know: Abercrombie is remembering a past that never happened. A member of the House’s progressive caucus before his election as governor, Abercrombie has been talking excitedly about the relationship for years, playing John the Baptist to Obama’s Jesus. “Little Barry, that’s what we called him,” Abercrombie told the Chicago Tribune while “recalling his days with Obama Sr. and his future wife, Ann Dunham, at the University of Hawaii.” If Obama were born on August 4, 1961, however, there could not have been many such days. As is thoroughly documented, Ann and little Barry were in Seattle two weeks later, where she enrolled at the University of Washington. By the time she returned to Hawaii in late summer or fall 1962, Barack Sr. had left for Harvard for good.